If you’ve paid attention to my blog or any of my social channels you know that one thing I really wanted to try this winter was skiing. Honestly, I don’t know how I went to school in da yoop (Upper Peninsula of Michigan) and never skied – not even once. Anyway, I found out that January is Discover Michigan Skiing, and you can take an hour beginner lesson (ski or snowboard) which includes rental of equipment and a ski lift pass for just $35 – sign me up…right? 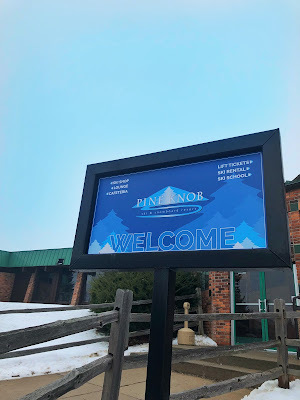 This past Sunday I took my lesson at Pine Knob, and I’ll be honest when I got there I was incredibly nervous. I love winter activities; however going down steep slopes (even sledding) is not something that I enjoy. After a lot of back and forth I went in and got all my ski equipment and headed out for the lesson. The two instructors were great, they watched what we were doing carefully and gave tips that really helped get the most out of the lesson. I stayed at the very beginner “hill”, as I was working on gaining my confidence and courage to make it to the next level up. I can’t wait to go skiing again, however I will probably continue to stick with the smaller areas until I feel like I am ready to move up to something bigger. In all honesty getting off the chairlift freaks me out, so my current plan is to avoid that. However, my goal by the end of the season is to be on the chairlift at least once, and go down a real slope. Have you ever tried skiing or snowboarding? Any tips or words of encouragement are appreciated below haha. 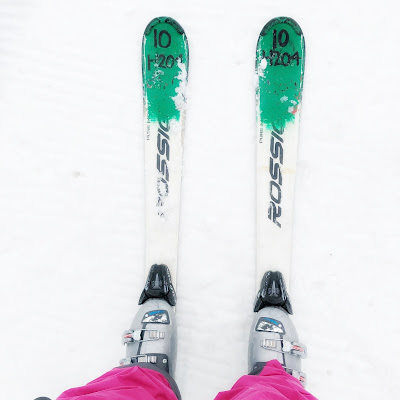 I also went skiing for the first time in January :) For me, the most difficult thing was to rise after the fall.